Jambo Everyone: A Photo For Today: The Amazing Burudika Band! Jungle Jim took this photo while sitting for a little mid-day rest at one of Burudika's afternoon sets. 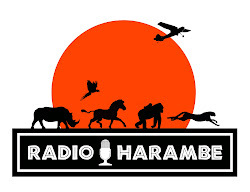 If you are looking to just chill for a bit, check your schedule for when Burudika plays and about a half-hour before head over to the Dawa Bar and grab a drink and a seat in Harambe. 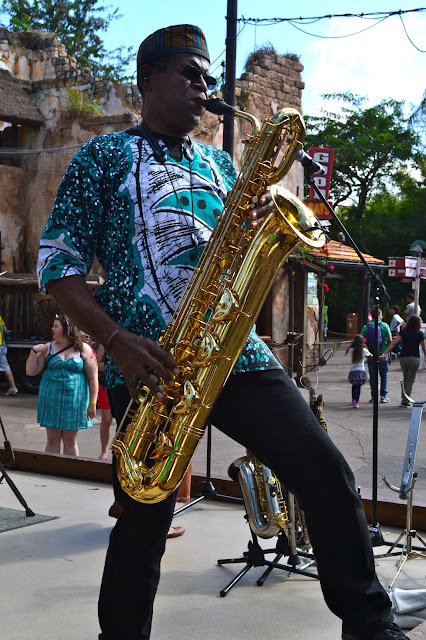 Epcot is known for its musical entertainment, but it is time for Disney guests to realize the single best place for live music in a Disney theme park is at this stage in the middle of Harambe Village. Burudika, as well as the Tam-Tam Drummers, will blow your socks off. They are amazing musicians, the best Disney has to offer. Take some time and listen to these guys. And for more info on live entertainment at DAK, head to Jambo Everyone's Entertainment Guide. And by the way, I think it is time for Burudika to record a CD for us to buy. PLEASE!! !